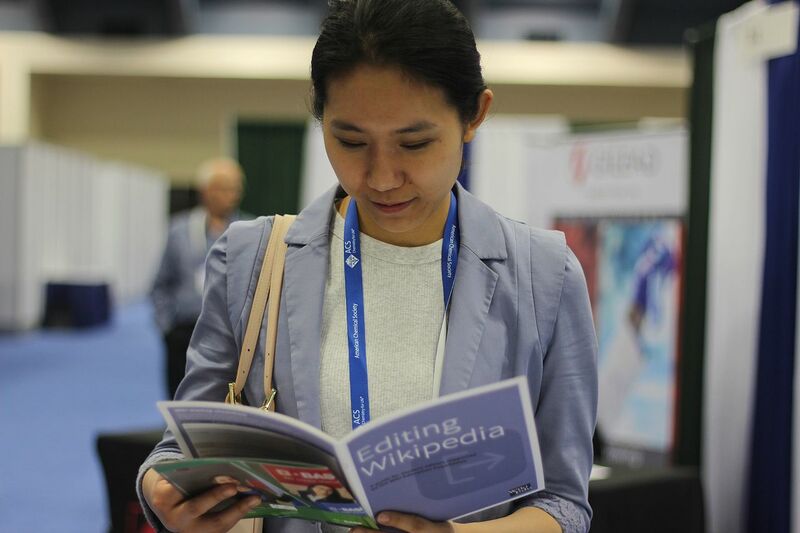 Over the past month, Wiki Education staff have been busy presenting at conferences and speaking with instructors about joining our initiative to improve Wikipedia’s academic content in underrepresented areas. Zach presents at SoTL Commons. I attended the Academy of Criminal Justice Society’s annual meeting in Kansas City, promoting Wikipedia assignments to criminology instructors. In the past, we’ve supported courses like Annette Nierobisz’ Women, Crime, and Criminal Justice course at Carleton College with fantastic outcomes. For example, students created a new article, reproductive health care for incarcerated women in the United States, sharing information with the public about the lack of reproductive health care available to incarcerated women. We’re looking forward to bringing more criminal justice courses into the Classroom Program, as students can identify topics relevant to citizens’ daily lives and provide reliable, accessible, verifiable information. Later in the month, Outreach Manager Samantha Weald attended the American Society of Environmental History conference in Chicago, speaking to potential program participants about the power of disseminating information about environmental science to the general public. Students in Julian Fulton’s course at California State University, Sacramento, for example, wrote the article about mercury contamination in California waterways, bringing their classroom studies to Wikipedia. Now readers can learn more about this topic that was previously missing. 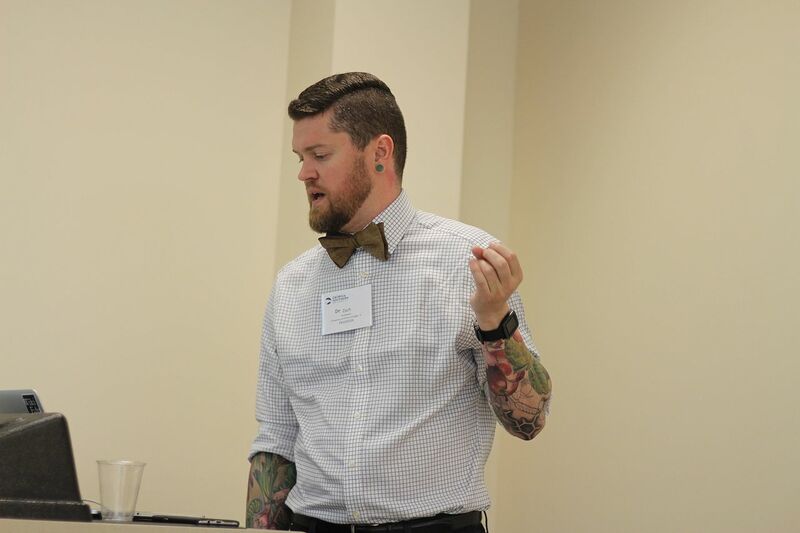 In the last week of March, Research Fellow Zach McDowell and I attended the Scholarship of Teaching and Learning (SoTL) Commons Conference in Savannah to present preliminary results from our fall 2016 research project to evaluate student learning outcomes during a Wikipedia assignment. Conference attendees came to learn about teaching with technology, learning theories and pedagogy, assessment, and new projects to achieve their learning goals with students. A student at ACS reads Wiki Education’s guide to editing Wikipedia. Finally, earlier this month, Samantha and I were at the American Chemical Society’s spring meeting here in San Francisco. Last year, we started a partnership with ACS to target chemistry articles in our effort to bring accurate and accessible science to the general public. We have supported 34 chemistry courses with more than 700 students, and they’ve already added 674,000 words to Wikipedia. One undergraduate student we met, who wrote a Wikipedia article in her course, said she “loved it and thought it was fun and exciting.” We’re inspired by the work students have done and their motivation to make public knowledge available, and we’re poised to support even more students after this week’s conference. If you’d like to join our initiative to teach with Wikipedia or partner with Wiki Education, please email us at contact@wikiedu.org.